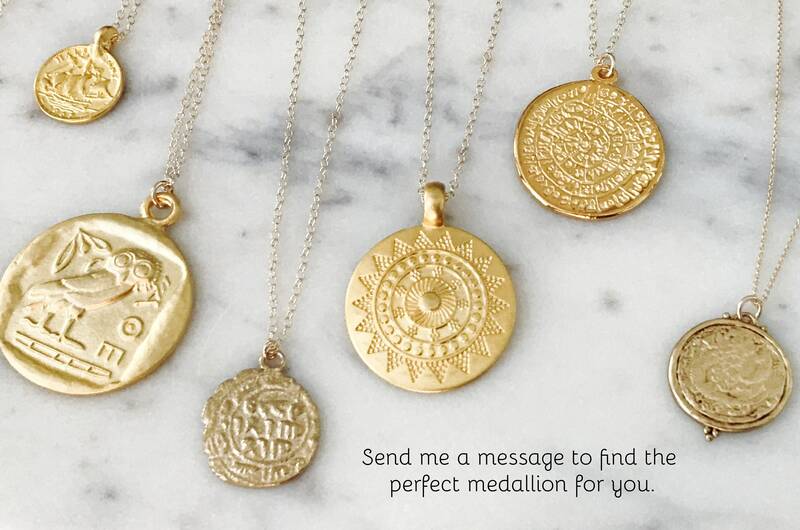 ❤️ Choice of Medium or Large Mandala Pendant. ♥ - 14k Gold filled Cable Chain and Connections, 22" or 30" length. 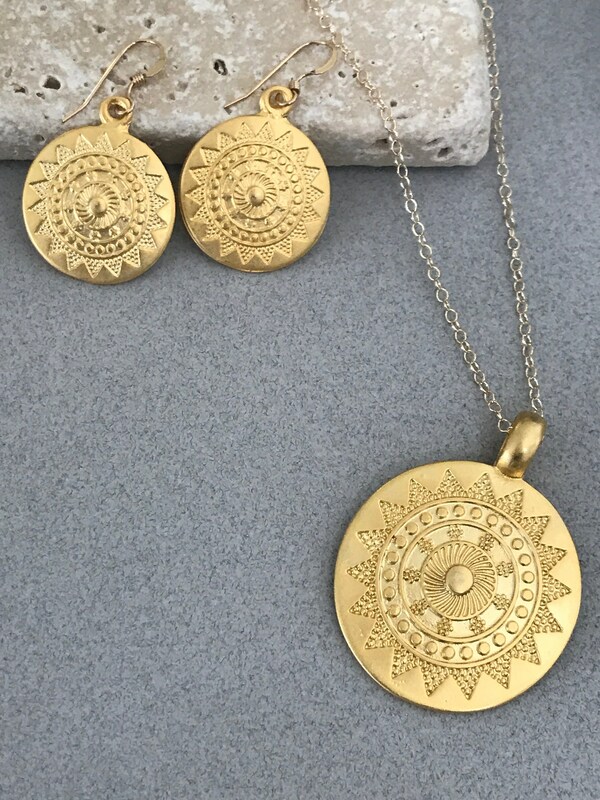 ♥ - 22k Gold Plated Sun Mandala, Large 33mm. 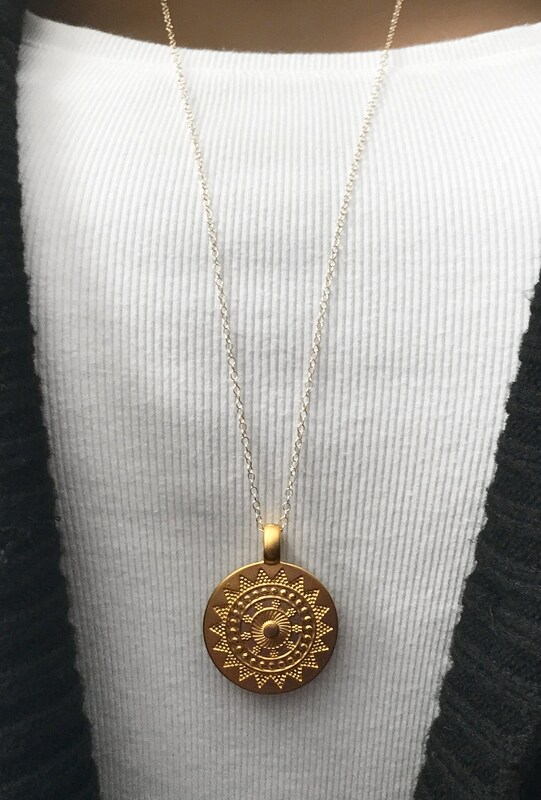 ♥ - 22k Gold Plated Sun Mandala, Medium 22mm. 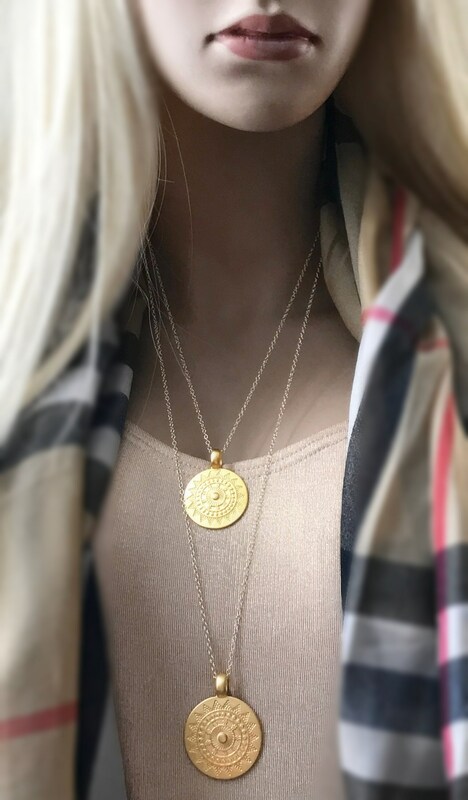 Great medallion necklace similar to Sarah Hyland's necklace. 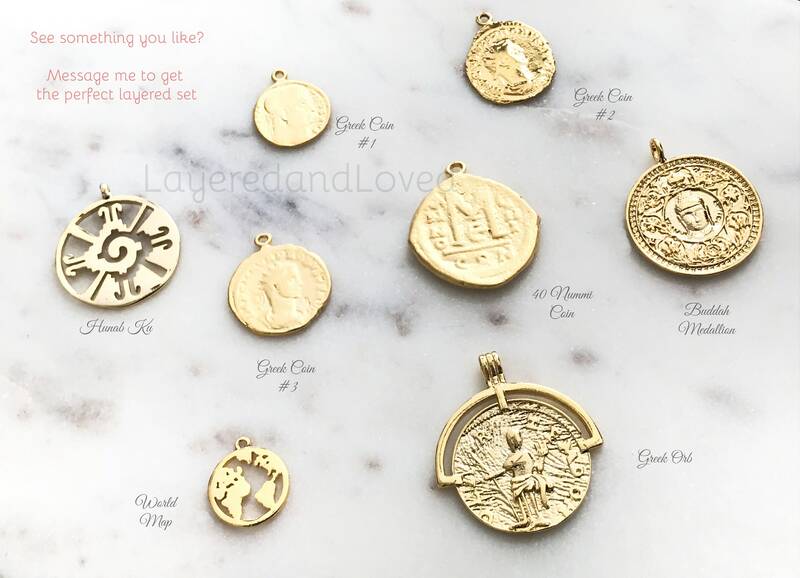 The pendants are suspended from a long 14k gold filled chain. 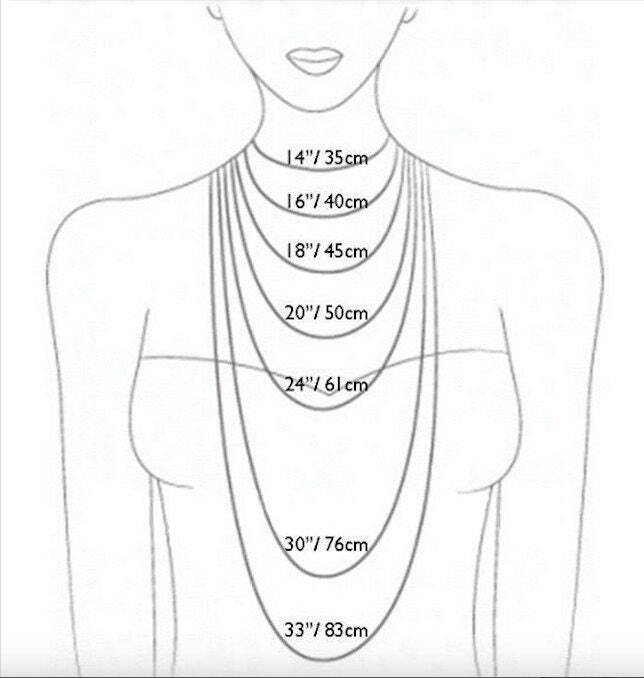 22" length will have a spring ring clasp closure, 30" length will have a jump ring to easily slip over your head. Derived from the Sanskrit language, the term ‘Mandala‘ is loosely translated into ‘circle’. However, it refers to not just the simple round shape but symbolizes unity, eternity, wholeness and perfection. 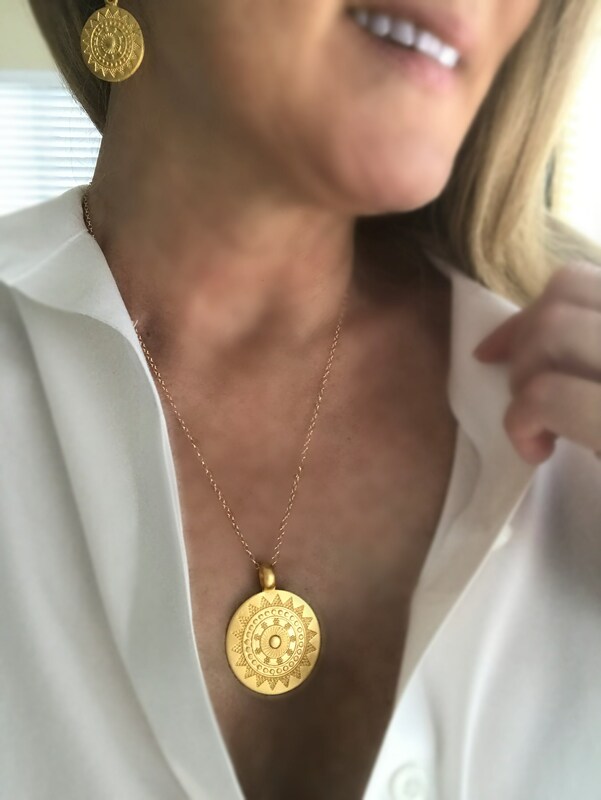 The Mandala symbol is an important ritual and spiritual symbol of the Hindus and Buddhists denoting the Universe and the concept of never-ending life. Love this! They go with just about everything and are easy to put on :) I wear this a lot whether it’s going out or for work! Matching earrings make a complete set! Thank you!! Yes, absolutely perfect and exactly what I wanted. Beautiful pendant and the chain is lovely.